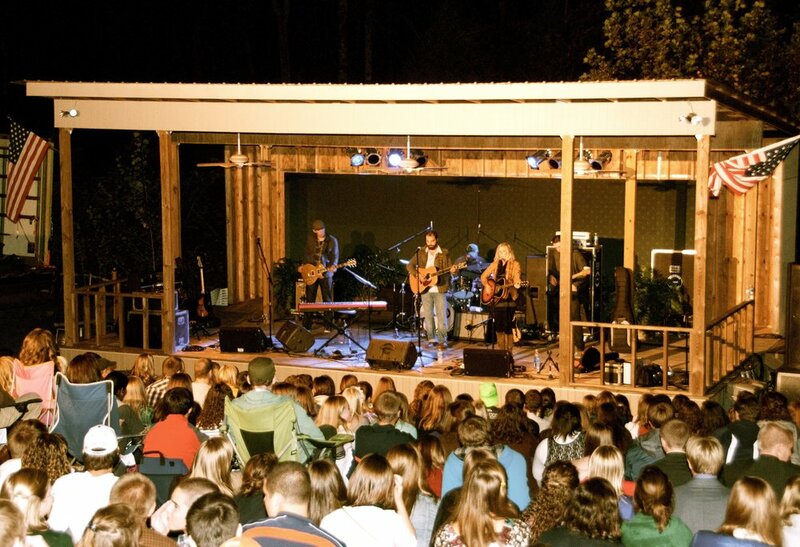 The Village Pavilion is a small amphitheater that is ideal for concerts or other outdoor events. 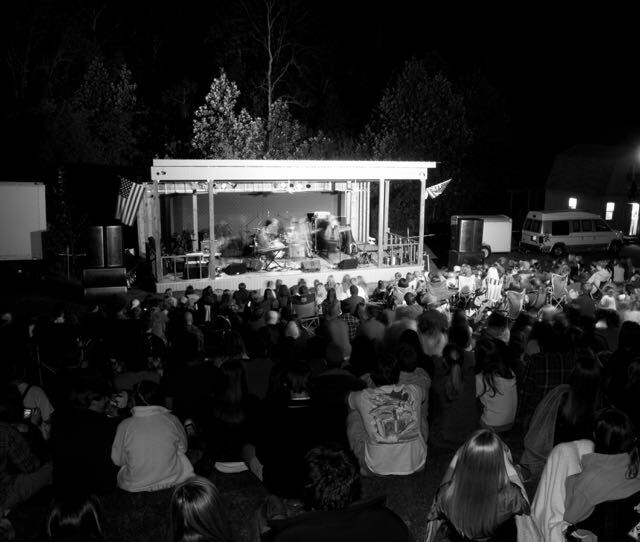 It has been used in conjunction with weddings, birthday parties, reunions, concerts, etc. It was constructed and equipped with 200 amp wiring to serve bands or DJ’s. There are sufficient receptacles, fans, and lighting to accommodate musical equipment. 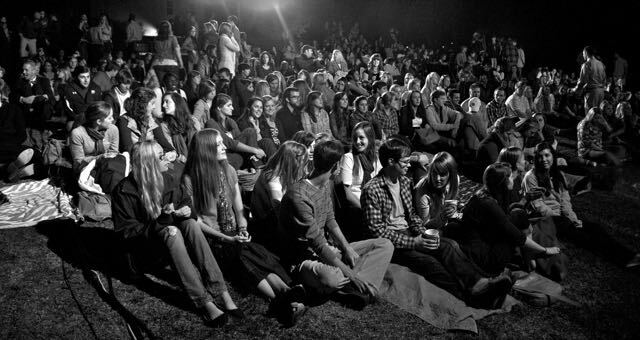 Concert seating is hillside grounds or bring your own chair. 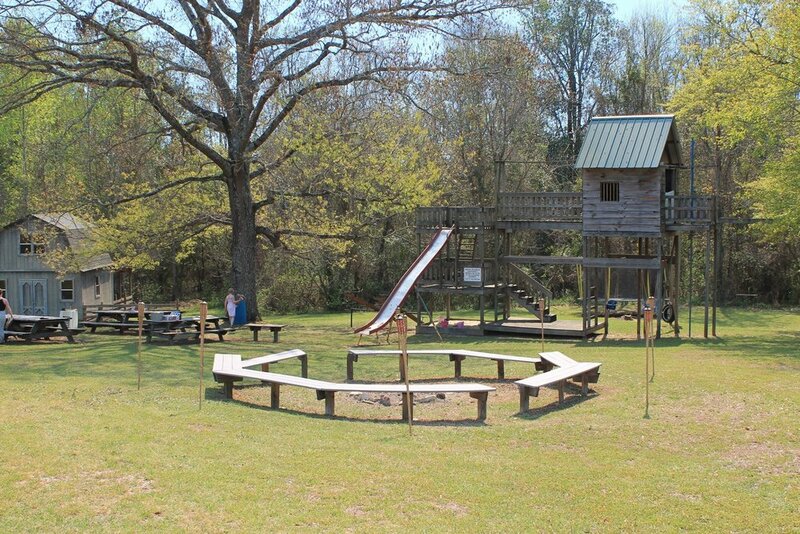 The Village Playground and Picnic area has been the place for many birthday parties, family reunions or just a place to relax. It is open when you book any other venue or it can be booked by itself.